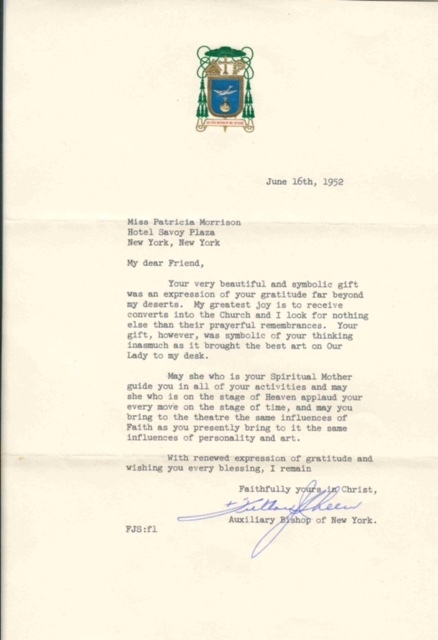 The three letters are written by the Bishop to Patricia Morison, who had recently become a convert and attributed her faith to his help. 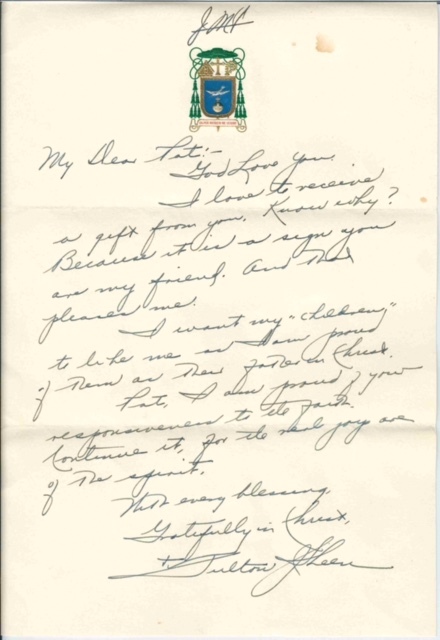 The first letter, dated June 16, 1952, is his acknowledgment of a gift she sent him for which he tells her he is very grateful. It is a beautiful expression of his gratitude to her and is able to be read here. 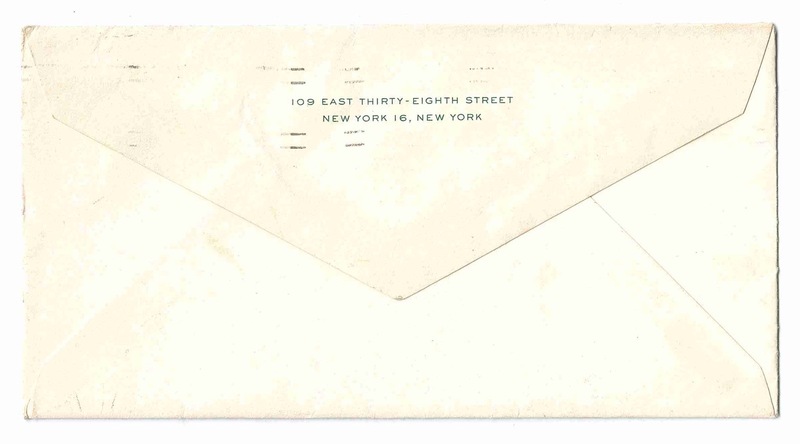 All the letters are on letterhead paper, depicting his coat of arms as a Bishop. 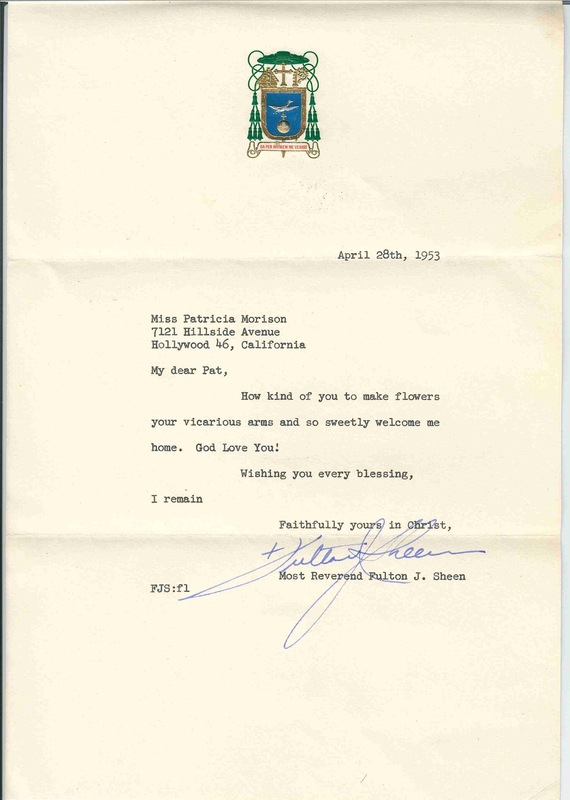 The second letter, dated June 17, 1952, continues his sentiments from the letter of the previous day. 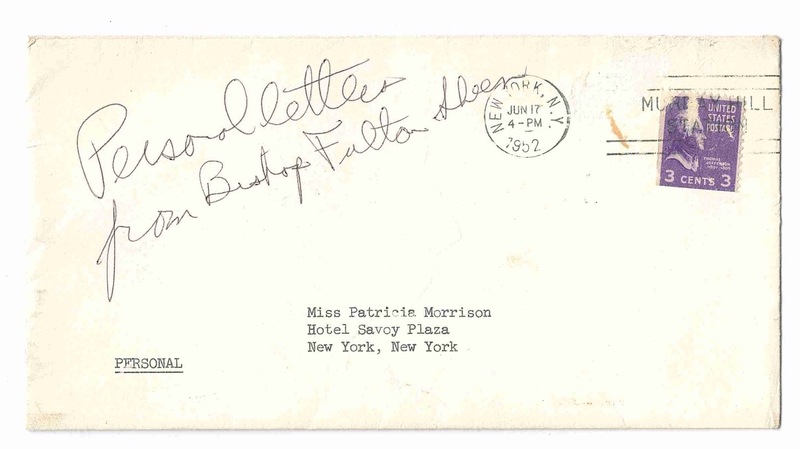 It is especially rare in that it was hand written and included the envelope in which it was sent, attesting to the importance with which it was preserved by Pat Morison in her estate. 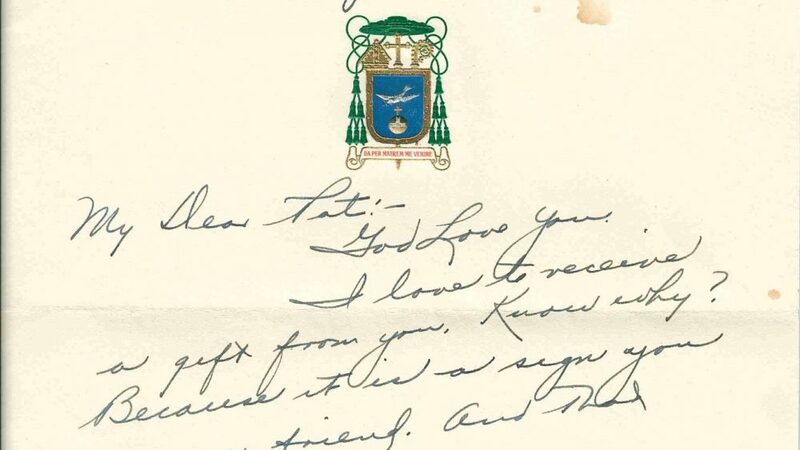 The letter clearly reveals the JMJ (Jesus, Mary, Joseph) initials at the top–which was a common practice among Catholics in the 1950s. 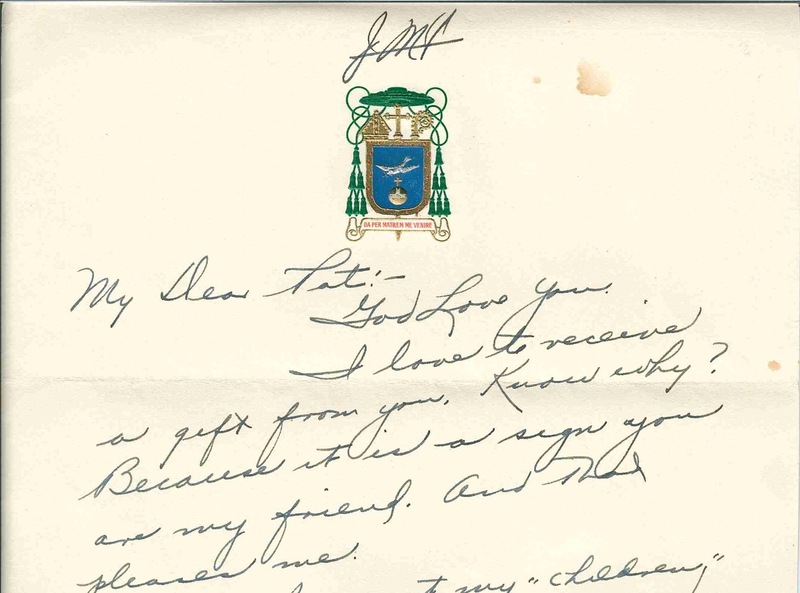 Since it is fully expected that Archbishop Sheen will some day be canonized, it adds even greater significance to acquiring these letters.